Social media sites and applications have become an important part of our lives, isn’t it? capturing different photos and gathering content to post on Snapchat, Facebook, Instagram, Twitter, and WhatsApp is how most of the people spend most of their time. And if you’re one of them, you have vast collection of posts and memories on every social media application – including Snapchat. We have been receiving a lot of requests from our users about the deleted snapchat photos on iPhone. If you’re reading this article, you are most likely looking for the best ways to recover snapchat photos on iPhone. Worry no more! This article depicts the unbiased tutorial to recover snapchat photos from iPhone. When does Snapchat delete the files? The question is, why does the Snapchat delete the files? Being a Snapchat user, you must be well aware of the fact that Snapchat automatically deletes the sent photos and chats after the recipient has viewed or seen the content. Here is how Snapchat servers deal with the photos deletion process. When the receipt views the snaps, Snapchat servers automatically delete it without any notice. If you haven’t seen the snaps, they will still be deleted after 30 days. Unopened snaps sent to a group are deleted by Snapchat servers after 24 hours. If your Snapchat photos are deleted, stop using iPhone and do not save any more data on it – especially Snapchat. Note that using iPhone after accidental data deletion can overwrite the deleted data and will make it impossible to recover it. Follow the listed steps to recover snapchat photos manually from iPhone with the temporary folder. 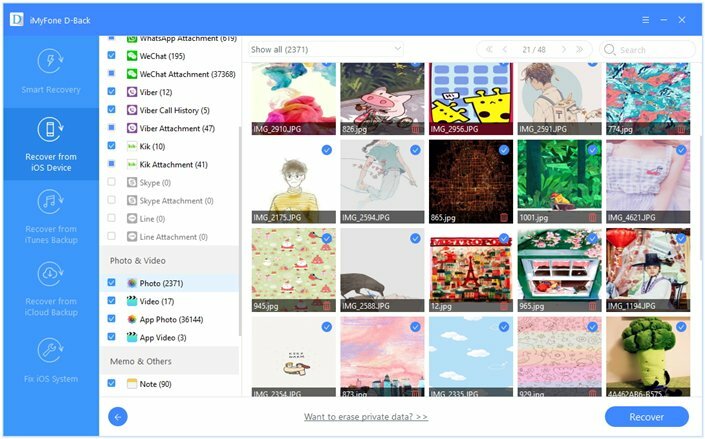 Download any file manager application like iExplorer. Connect your iPhone with the computer and open the file manager. 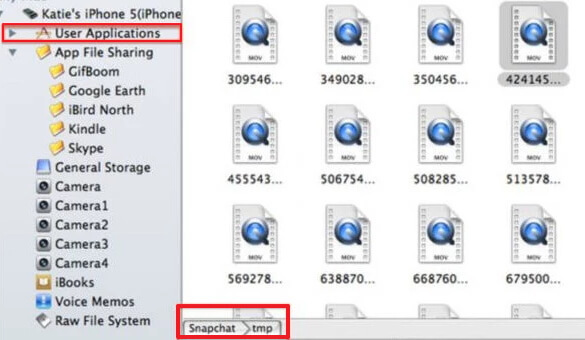 Browse through the available folders of the iPhone and locate the Snapchat folder. 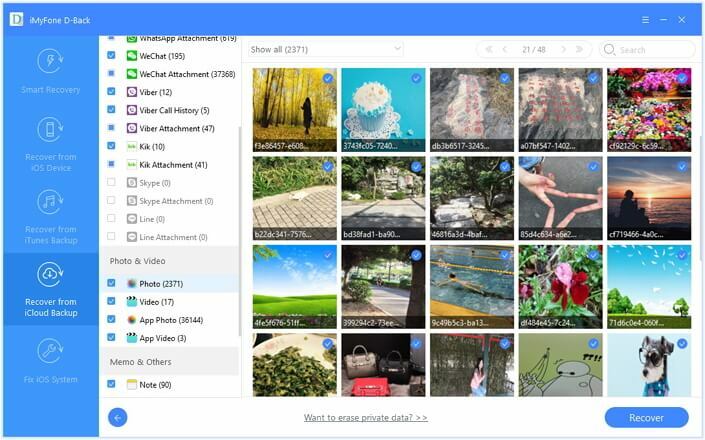 Here you can find all the shared photos via Snapchat stored in the temp folder. Recover and save them to your computer. Note: Make sure to perform the above solution within 24 hours of the photos deletion. Question:Can I Recover Snapchat Photos on iPhone with Software? Unfortunately, it is not possible to recover Snapchat photos deleted by the Snapchat servers by default. This is because Snapchat is developed with advanced technology servers designed to permanently delete its content depending upon several conditions. Therefore, it is impossible for any paid or free data recovery software for iPhone to recover Snapchat contents. However, you can still find the deleted contents in the iPhone temporary folder as discussed above – only works within the first 24 hours. 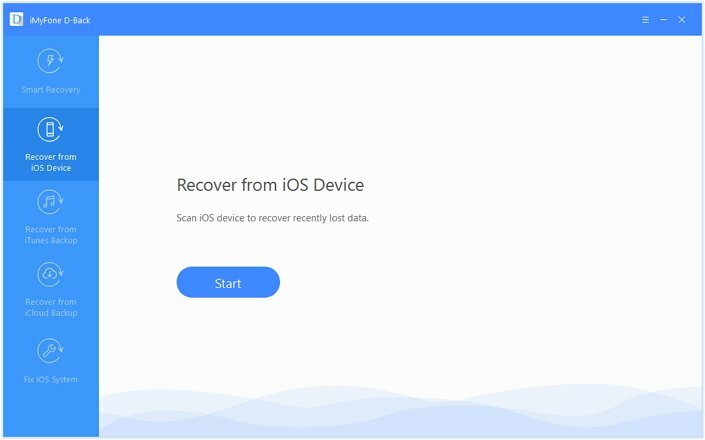 If you are looking to recover other data typesfrom iPhone without restoring or data loss, then using a third-party data recovery software is certainly the best choice. When it comes to the perfect iPhone data recovery software, the first name that comes in the mind is iMyFone D-Back. The extensive features, user-friendly interface, easy installation make it the best of its kind. 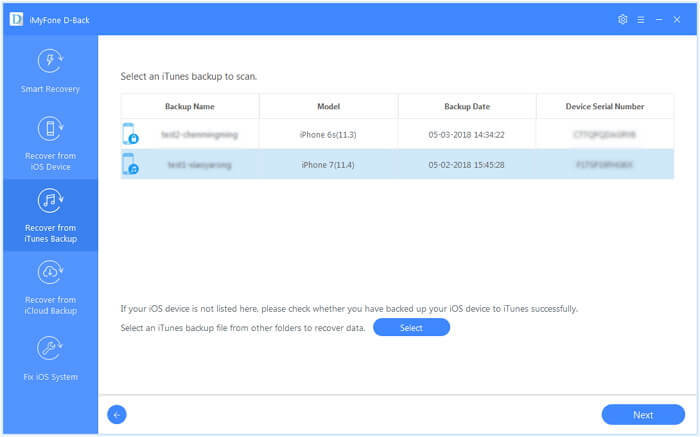 Learn more about how to recover deleted iPhone data with D-Back in the coming parts. It can selectively or fully recover data from iPhone, iPad, or iPod touch. 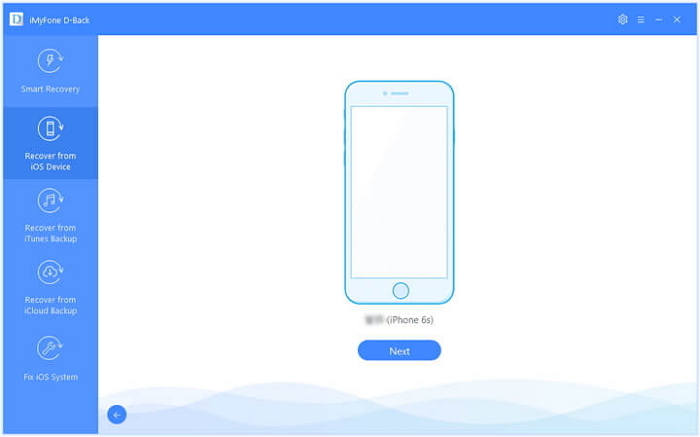 It can recover data without affecting your current data on iPhone. You can recover data without installing and uninstalling apps. It will recover data without restoring the whole backup. Can recover 18+ data types like contacts, call log, notes, photos, videos, WhatsApp, WeChat and etc. Step 1.Launch iMyFone D-Back and click “Start” after selecting the “Recover from iOS Device” tab. Step 2.Connect the iPhone with the computer and click “Next” after a few seconds. Step 3.Select the file types you need and click “Scan”. Step 4.After the scan completes, view the recoverable files. Then choose the one you want and click “Recover” to save them locally. Step 1.Go to the “Recover from iTunes Backup” tab and click “Start”. Step 2.Sign in to the iTunes account and enter the password if it is encrypted. 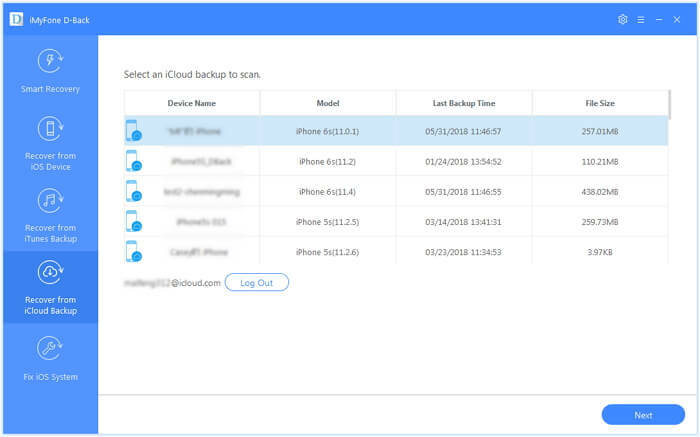 Select the most recent backup by looking at the date and time of each backup and click “Next”. Step 3.Select the data types of your lost data and click “Scan” to proceed. Step 4.After scanning, select the files you want to recover from the preview. Click “Recover” to complete the process. Step 1.Launch iMyFone D-Back and click “Start” under the “Recover from iCloud Backup” option. 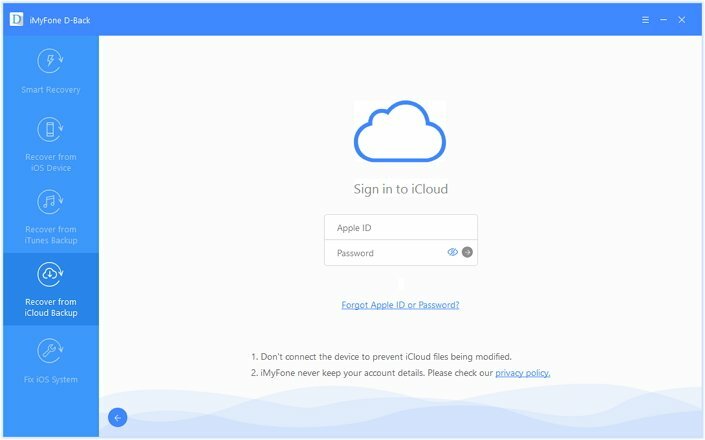 Step 2.Enter the iCloud login details to continue. Step 3.Select the most relevant iCloud backup. Click “Next”. Step 4.Choose the data types, for instance, video and photos to start scanning. Step 5.After scanning, you can preview the list of recoverable files. All you need to do now is to select what you need and tap “Recover” to complete. Unless you want to restore your iPhone, lose all data, and recover data with iPhone backups from scratch, using iMyFone D-Back to recover data is the best option. Not only you will be able to preview the recoverable data with the free version, but you can also fully or selectively recover it. Note that data previewed with free version is the same with which can be recovered from the paid version. 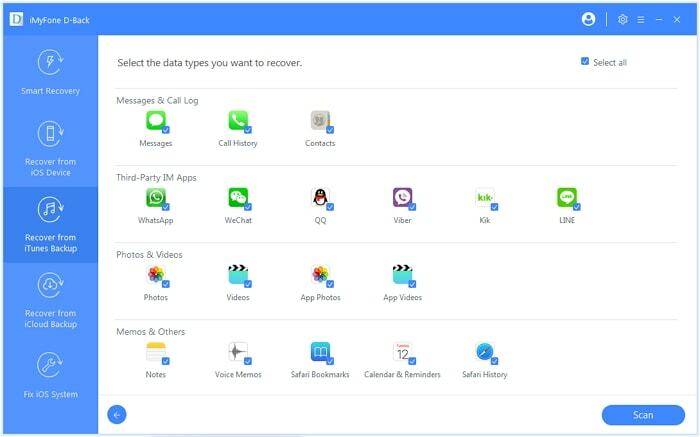 Make sure to follow the above solutions step-by-step and you are most likely to recover 18+ data easily. Of course, we will try our best to make our program recover Snapchat photos as soon as possible to solve actually solve the issue of recovering Snapchat photos from iPhone. In case of further questions or suggestions, feel free to leave a reply below. How to Save Other People’s Snapchat Videos to Camera Roll on iPhone?